Cross River State Resident Electoral Commissioner, Dr Okey Ezeani on Monday in Calabar said the shifting of the general elections is good for the Independent National Electoral Commission (INEC) as it gives the electoral body ample time to address some hitches that have hampered the distribution of the Permanent Voters Card (PVCs) across the country. 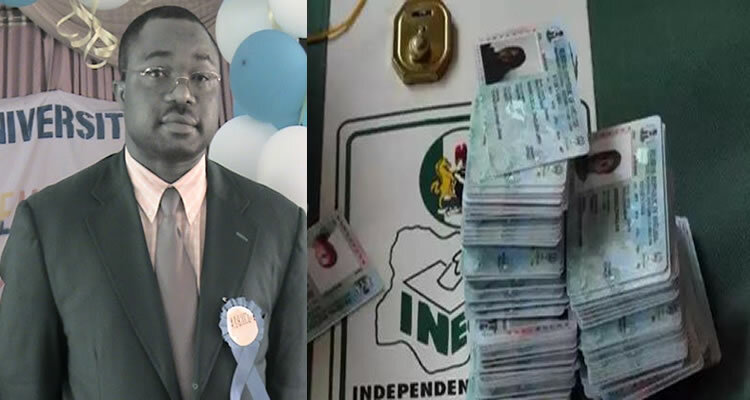 Imoke and members of the Cross River State Executive Council how the Voter Authentication System, otherwise known as Card Reader works, disclosed that some Permanent Voter Cards belonging to the electorate in the state were recently found in a consignment sent to Kebbi State. Responding, Governor Imoke who thanked the REC for the visit, however, charged INEC to ensure a hundred percent distribution of PVCs in the state and the country as a whole before the elections so that no one is disenfranchised on the grounds of non-availability of PVCs. Imoke said it was also obvious from the disclosures made by the REC, which INEC was not ready for the polls, and as such the postponement was therefore, a blessing for the electoral body and the country.